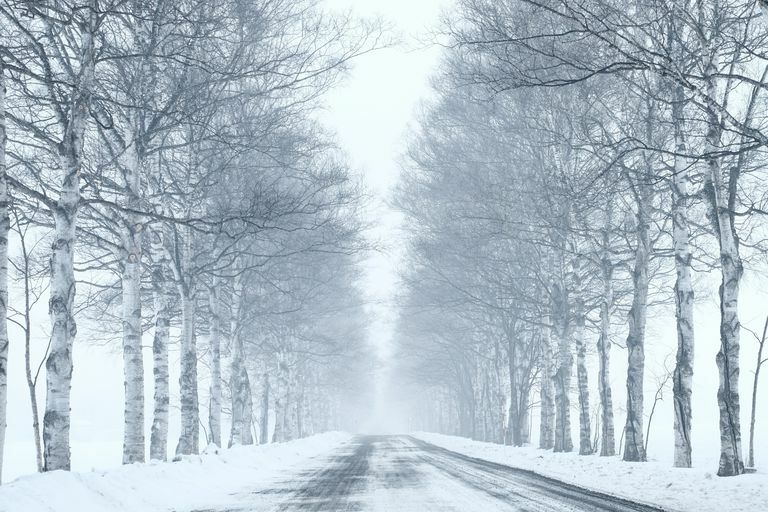 There appears to be a slight increase in stroke incidence as well as worse stroke outcomes during cold months of the year in comparison to warm months. The reasons for this bump in stroke incidence in the winter months is not completely clear, but researchers have pointed to some potential factors that may explain this somewhat surprising observation. Research studies from countries as diverse as Finland, Australia, the United States, Germany, Taiwan, China, and Iran have all reported that strokes happen more often in the colder months than in the warmer months. Interestingly, another research study showed the absence of a seasonal stroke trend in India, with authors reporting that stroke incidence did not change depending on the month or season of the year. This may be related to the climate in India, a country with warmer winters, and more consistent year round temperatures than the other nations that did have a seasonal stroke spike. It appears that many of causes that are believed to the increase the incidence of strokes during colder months are preventable. These include an increased frequency of infections, lack of sunlight, depression, an indoor lifestyle, and lack of exercise. Stroke due to atrial fibrillation, one of the heart conditions that causes stroke, also increases during the winter months. This reason for this association is not clearly explained. Research has shown that some infections may increase the risk of stroke- especially serious infections. In general, infections increase during the cold winter months, the same months that see a spike in stroke occurrence. Infection prevention may help decrease your risk of stroke. There are a number of ways you can decrease your chances of catching an infection. These include thorough hand washing and careful attention to avoid germs when touching objects or people that may carry germs. You could consider carrying sanitizer or hand wipes when shopping or at work to avoid touching germ-infested shopping carts, objects, handles, tables etc. One of the ways to reduce infection includes making sure recommended immunizations are up to date. For most adults, a flu vaccine has been shown to decrease infection and hospitalization. A few research articles have suggested that adults who receive flu vaccinations may decrease their risk of stroke. Getting rest, staying hydrated, and staying home from work or school when you are sick can help you recover faster, decreasing the chances of a prolonged infection. Exercise can exacerbate your infection, but sometimes it can actually be helpful. Should You Exercise When You Have an Infection? Getting outside or at least out of cooped up spaces can help protect you from exposure to germs that can contribute to infection. If you are healthy, taking a brisk walk or run outside in moderately cold weather is not harmful for your health, and is considered beneficial. Paying extra attention to increasing your physical activity in the winter is important because exercise is a valuable tool for staying healthy. In fact, some of the benefits of exercise, such as lowering high blood pressure, reducing harmful cholesterol and raising good cholesterol, and weight loss, all help protect you against stroke. Lack of sunlight, lack of physical activity, and inability to go outdoors have all been proven to contribute to depression, which, in turn, is linked to an increased risk of stroke stroke and worse stroke outcomes. Depression is a medical condition that has been shown to improve with proper treatment. The first step is recognition. Lack of sunlight contributes to depression, and possibly to stroke. Vitamin D deficiency is more common in the winter, and it has been linked to depression and seasonal affective disorder. Depending on the climate where you live, the most effective way to get more sunlight may be to go on vacation. However, this is not a realistic option for most people. Lamps designed for seasonal affective disorder emit light that can help reduce the symptoms of winter depression. Can Menopause Cause Vitamin D Deficiency? The mild seasonal increase in stroke incidence is somewhat surprising. The good news is there are ways you can take action to reduce your risk of stroke. Maintaining physical activity throughout the autumn and winter months, getting medical attention for symptoms of depression, trying to get sunlight exposure, and taking steps to avoid infection can all play a role in reducing your risk of having a stroke. Of course, paying attention to stroke risk factors and prevention is important all year round for everyone, even if you live in a warm climate. Bahonar A, Khosravi A, Khorvash F, Maracy M, Saadatnia M. Seasonal and Monthly variation in stroke and its subtypes-10 Year Hospital-Based Study. Mater Sociomed. 2017 Jun;29(2):119-123. doi: 10.5455/msm.2017.29.119-123. Liu Y, Gong P, Wang M, Zhou J. Seasonal variation of admission severity and outcomes in ischemic stroke - a consecutive hospital-based stroke registry. Chronobiol Int. 2018 Mar;35(3):295-302. doi: 10.1080/07420528.2017.1369430. Epub 2018 Jan 26. Grau AJ, Marquardt L, Lichy C. The effect of infections and vaccinations on stroke risk. Expert Rev Neurother. 2006 Feb;6(2):175-83. Sipilä JO, Ruuskanen JO, Kauko T, Rautava P, Kytö V Seasonality of stroke in Finland. Ann Med. 2017 Jun;49(4):310-318. doi: 10.1080/07853890.2016.1254350. Epub 2016 Nov 29. What Makes Anton Syndrome Such a Peculiar Symptom?